Dressing like a hipster is trendy now, but are you really a hipster on the inside or just a pretender? Take this fun quiz to find out if you are the real deal. 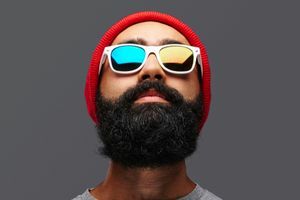 These questions will go beyond the surface of your dress and grooming habits to reveal whether your thoughts, goals, and way of looking at the world are hipster. Have you been accused of being a hipster or do you describe yourself as such? This fun, quick quiz will separate people into those that want to be hipsters and those who really are!